Summer may be a student's best friend, but even though it means heading back to class and teachers' dirty looks, fall definitely has its charms. It means the start of college football season, an ease in the summer heat, the beauty of leaves changing color, and student activities ramping back up. While it may be true that a great campus is great year-round, we've made our choices for 10 campuses that really nail it in autumn, whether through offering fun activities, a great environment, or simply being a sight for sore eyes. And maybe even sometimes the thought of being there at that time can help you forget you have a ton of criminology, business, communications, psychology, graphic design, or social work,etc. homework to complete. This women's liberal arts school in South Hadley, Mass., is regularly judged as one of the country's most beautiful campuses by the Princeton Review, which publishes its rankings in the summer. If they were published in the fall, Mount Holyoke would probably win every year. 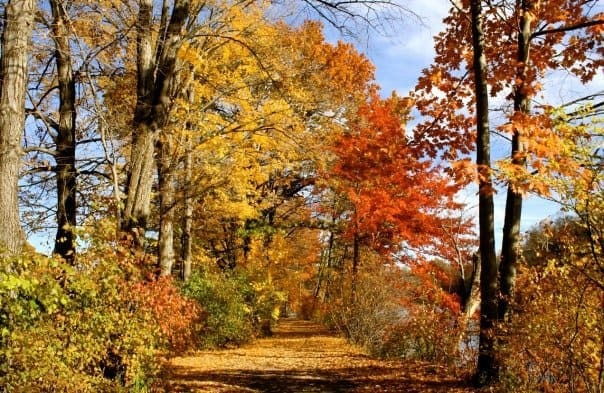 The 800 acres with its two lakes and beautiful nature trails are made even better with the changing of the season. Fortunately the administration is cool enough to recognize that such a gorgeous time of year calls for a day of playing hookie, and since 1838 the school has celebrated Mountain Day, a fall day when classes are canceled without notice and everyone hikes the mountain and eats ice cream at the top while enjoying the view. Summers might be hot and sticky, but autumn ushers in milder temps, striking fall colors, and one of the best gameday spots in all college sports. Oxford is the home of the Grove, Ole Miss' "Holy Grail of Tailgating," where thousands of Rebel fans gather on Friday afternoon to set up for a full Saturday of grilling, drinking, and mixing. The team may not be knocking 'em dead this year, but the walk back to the dorms in the long shadows of the magnolia and elm trees is the perfect cure for getting over a tough loss. The Ducks have a lot going for them this fall. 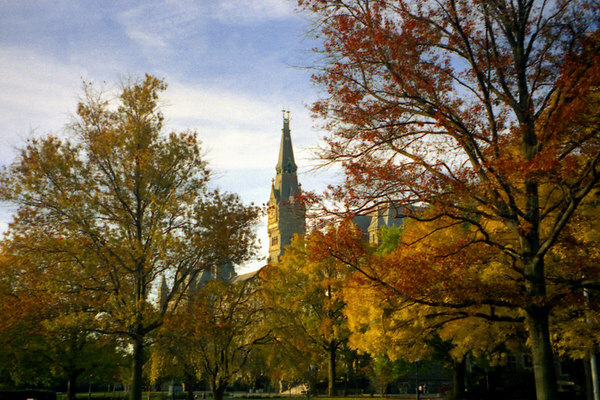 For one thing, like pretty much every school on this list, the campus is darn picturesque. There should also be loads of excitement in the air this fall as the football team is predicted by many to go to the BCS title game, and with a 5-0 record as of the time of this writing, they are well on their way. Then there's the Fall Street Faire, which is basically a bi-annual, three-day outdoor festival/farmer's market. And you know it must be good if they spell it "faire." Skidmore has a pretty little campus in Saratoga Springs, New York, but that's not really what makes it a great autumn spot. Skidmore is the site of one of the best campus Halloween weekends around and the home of the legendary Moorebid Ball. The partying starts on Thursday and may go as late as Monday morning, providing plenty of opportunities to don a costume and raise some hell (let's just try to keep the hospitalizations down this year, y'all). This fall will also feature the first Fall Fun Day at Skidmore, an autumnal iteration of a popular campus activities day usually held in the spring. If snow is not really your thing, you'll want to be long gone before the start of classes in January, when the average daily high is about 30 degrees. But in late October and early November, temps are in the balmy mid-50s, and one look around from pretty much anywhere on campus is enough to remind you college football is in full swing and the holidays are on the way. The trees outside the Delia Koo International Academic Center turn a fantastic shade of scarlet, and the tranquil waters of the Red Cedar River run right through campus, carrying the autumn leaves away with the current. 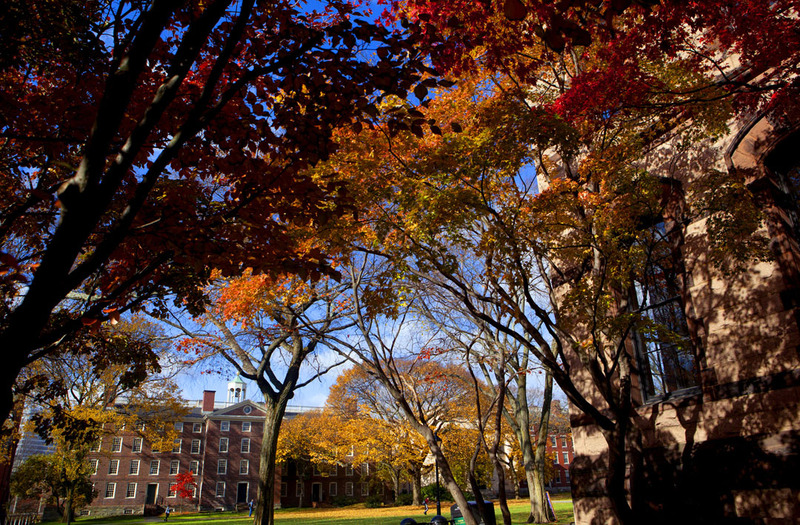 Georgetown has much to recommend it every fall, with its picturesque New England trees and cool, crisp air. Its location in the nation's capital means students will be right in the thick of the November election action, and there will be plenty of presidential debate watch parties to go to and drink every time someone says the word "freedom." The campus also has one of the country's most notorious Halloween traditions, known as the "Healy Howl." After a viewing of The Exorcist (which filmed some scenes on campus), students descend on the cemetery near Healy Hall around midnight and howl at the moon. First of all, fall kicks off while this campus in sunny California is still in its warmest month (on average). It will be December before highs drop below 60, leaving plenty of time to toss a football, trick-or-treat, or hit the farmer's market in shorts and Birkenstocks. The trees don't reach New England-esque levels for color, but the campus does have some unusual trees like ginkgos, shagbark hickories, and trident maples that turn out enough autumn hues to satisfy. And Berkeley is home to one of academia's coolest open houses called Fall Free For All, in which live music, theater, and dance performances are staged at six different spots around campus, free and open to the public. Gainesville earns a nod on the strength of its awesome homecoming events each fall. October 19 is Soulfest, featuring free international food and music, dance, and art created by Gator students. Next comes the Homecoming Pageant, then students can strut their stuff at Talent Night, and later take in a free concert from student musicians at the Swamp Symphony. The huge Homecoming Parade on Nov. 9 snowballs into the legendary Gator Growl, the "world's largest pep rally," complete with performances by country star Josh Turner and comedian Tracy Morgan, student skits, fireworks, and more. The day after that is the Homecoming BBQ and, of course, the always-competitive Gators take the field. The Fall Concert is a yearly favorite here that's held early on in the semester and that has featured big names like Big Boi in the past. This year punk band Titus Andronicus will be rocking to those who can scrounge $12 for a ticket. For a more refined evening, there's the fall dance concert put on by Brown student groups. Of course, the litany of campus tree species like maples, dogwoods, beeches, and ashes will be entertainment in themselves as the leaves turn. And on Mondays in the Wriston Quad from 11 a.m. to 2 p.m. the Brown University Farmers' Market will rev back into gear to bring students all the fresh produce they can stand. What's fall without a good ol' fall festival? Instead of a few hours of open house, Brandeis stretches its Fall Fest out over four days in mid-October. From Thursday to Sunday there are museum tours, a trivia night, plays put on by the Brandeis Players, comedy shows, two chorus and orchestra concerts, a variety show, a community service opportunity, and more. Plus, with its Boston-area setting you can watch the leaves change color, although some argue that aesthetically Brandeis' campus is nothing to write home about.